Dr. Quinn achtergrond. . HD Wallpaper and background images in the Dr Quinn Medicine Woman club tagged: dr quinn medicine woman michaela and sully jane seymour joe lando. 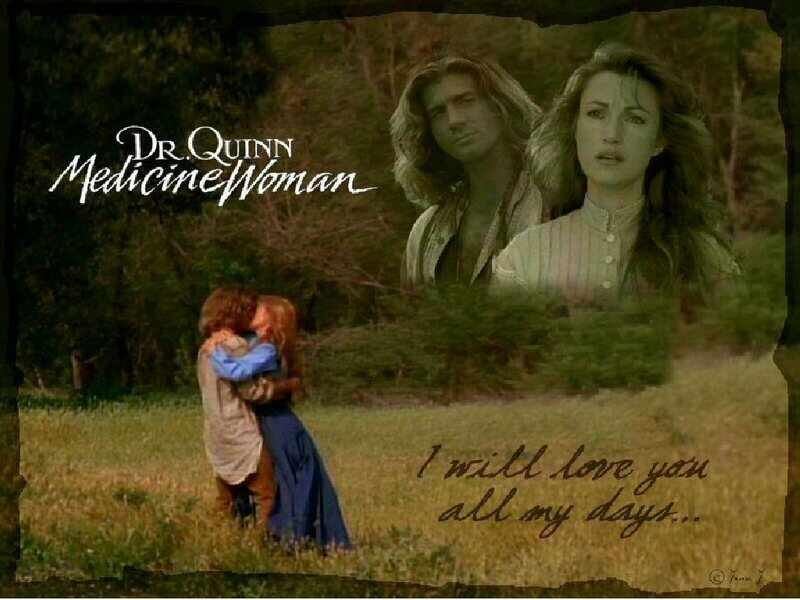 This Dr Quinn Medicine Woman wallpaper contains teken, poster, tekst, bord, and schoolbord. There might also be ruiterpad, hoofdstel weg, hoofdstel pad, portret, headshot, and close-up.